One step out of the hotel door and you find yourself in the most beautiful nature. In a scene of unique moments – there is hardly a place on earth that offers such a variety. Over 200 kilometers of hiking trails from the valley up to the highest alpine regions. 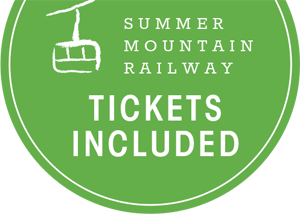 THE HIGHLIGHT in summer: FREE MOUNTAIN RAILWAY TICKETS for our guests. Fragrant meadows, happy cows, refreshing mountain lakes. Trails for long bike tours in summer. A special highlight in winter are the 140 km of maintained winter hiking trails. Enjoy the glittering landscape and feel the crunching snow during your walks. Cross-country skiing, curling, snowshoe hiking - always the white peaks of the Allgäu mountains in view. The perfect starting point for a nice tour? The Freiberg. The Allgäu has become a true paradise for golfing holiday makers. From the Freiberg, you can reach more than 18 golf courses in indescribably beautiful scenery and pristine nature within an hour. The nearest is the Golf Club Oberstdorf e.V. - just 5 minutes away. Guests of the Freiberg receive a 30 % discount on the green fee. Tee off, hole out and then relax in the Freiberg. A special golf highlight that we organize every year is the Maximilians gourmet CUP. Oberstdorf is a Mecca for winter and skiing fans. Over 120 km of alpine ski runs in 5 ski regions, snowboard fun parks, 140 km of maintained winter hiking trails, altogether 130 km for cross-country skiing and skaters and of course: The Four Hills Tournament, the ultimate ski event in the Allgäu. By the way, you may meet Max Bolkart in the Freiberg almost daily. He would love to tell you firsthand about his win of the Four Hills Tournament over 50 years ago. Just ask him about it.